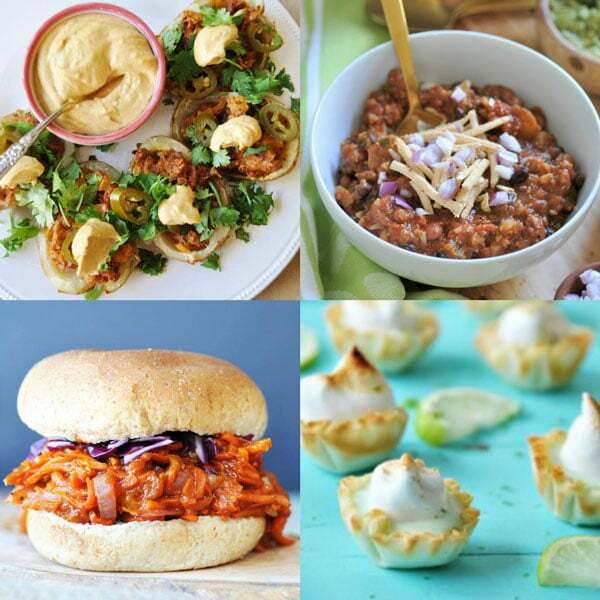 Super bowl vegan recipe roundup for vegans and meat eaters alike! 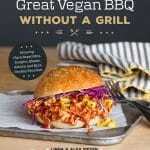 Vegan food that will rock your Super Bowl party! 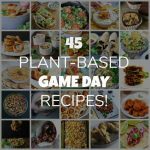 You’ll find everything from appetizers to dessert in this epic roundup of delicious game day food! It’s that time of year again, when the majority of America gathers together to be grateful, well-mannered, and really healthy… JUST KIDDING! Super Bowl Sunday is on its way and we couldn’t be more pumped! Football is almost a religion in the Meyer household, well… at least for two of us. The Breakfast King and his younger counterpart couldn’t care less about this time honored tradition. In fact, I’m pretty sure the only reason they watch the game is to eat the food. Who could blame them though! The spread we put out is pretty epic, and it’s good for you, so go ahead and eat like a pro football player. We had to start off this epic day with some equally epic apps. This is no time to tone it down and skimp on flavor, not that we ever do! 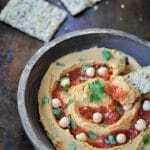 So we picked our cheesiest, savoriest, most traditional football recipes to share with y’all. 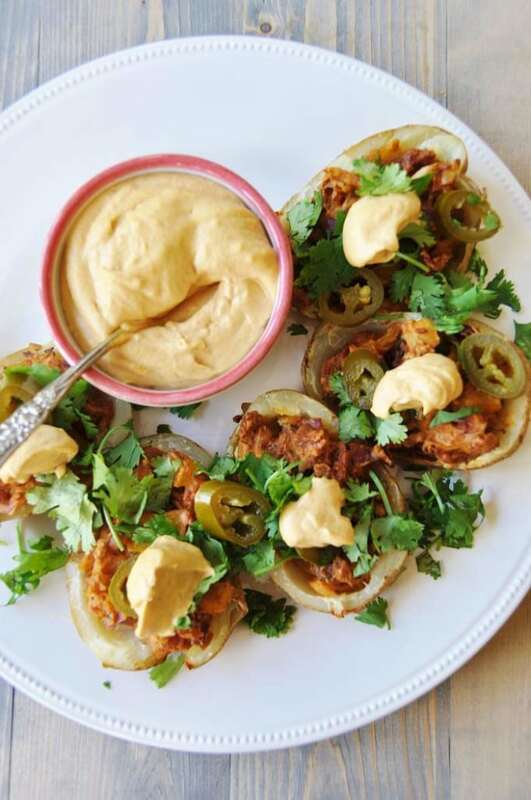 These potato skins are the stuff of legends. They’re filled with spicy jalapeños, creamy cashew cheese sauce, and spiced so perfectly you’ll have everyone drooling at your Super Bowl party! Sneak some fancy veggies in at your Super Bowl party by adding these grilled baby artichokes to the menu. Artichokes contain some awesomely high levels of antioxidants and are a great source of Vitamin K! Bonus! 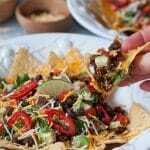 We know, nachos definitely aren’t the healthiest of foods out there, but if you’re already planning on making them, why not treat yourself in a way that’s better for your body! 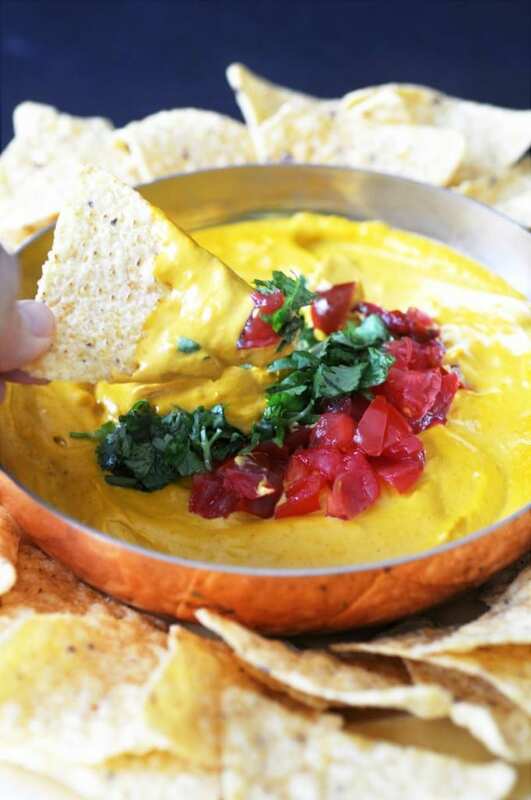 We can’t oversell this queso! It’s so creamy, cheesy, and the perfect addition to a Super Bowl recipes round up! It’s filled with Beta-carotene and provitamin A rich sweet potatoes! Diets high in oils with saturated fats can have adverse effects on health, not to mention they tend to weigh in at about 120 calories per tablespoon! 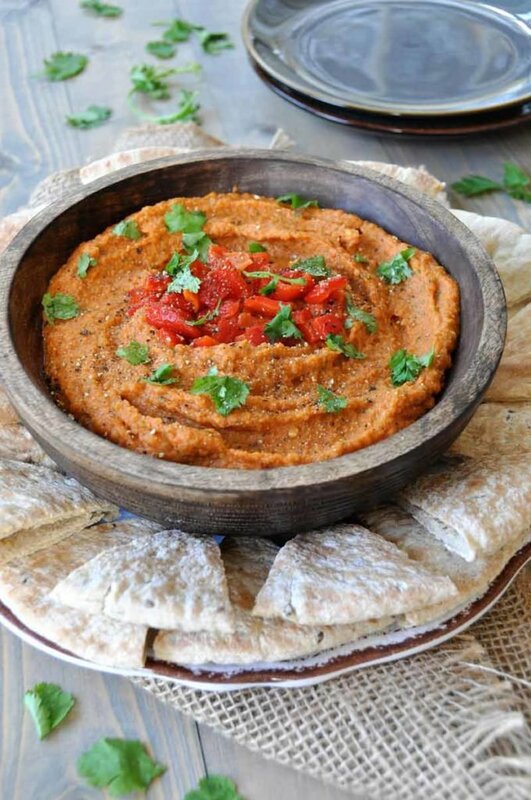 Instead of weighing down our hummus with high calorie oils, we’ve opted for a lighter option sans liquid fat. So, feel free to scoop this stuff up with no guilt and all the flavor! 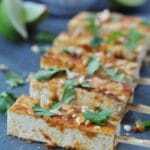 This has to be the most popular recipe not only on the site, but also in our groups of family and friends. 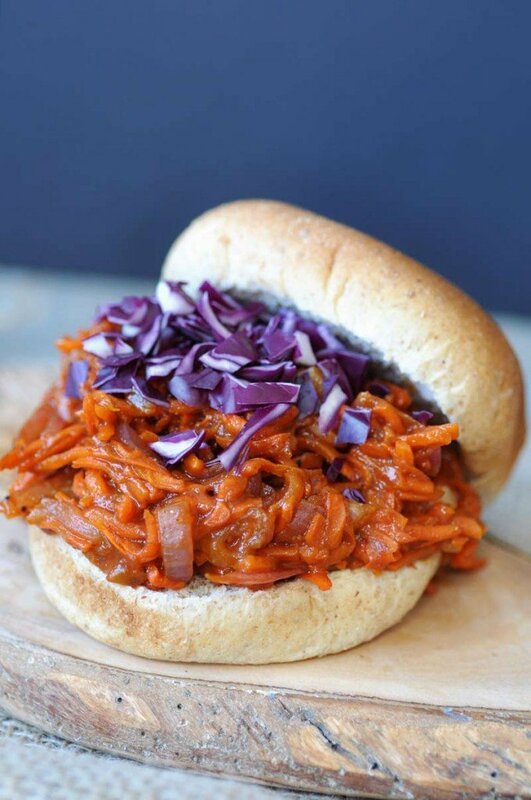 These pulled carrots are tender, juicy, and the perfect method of carrying some a** kicking BBQ sauce! 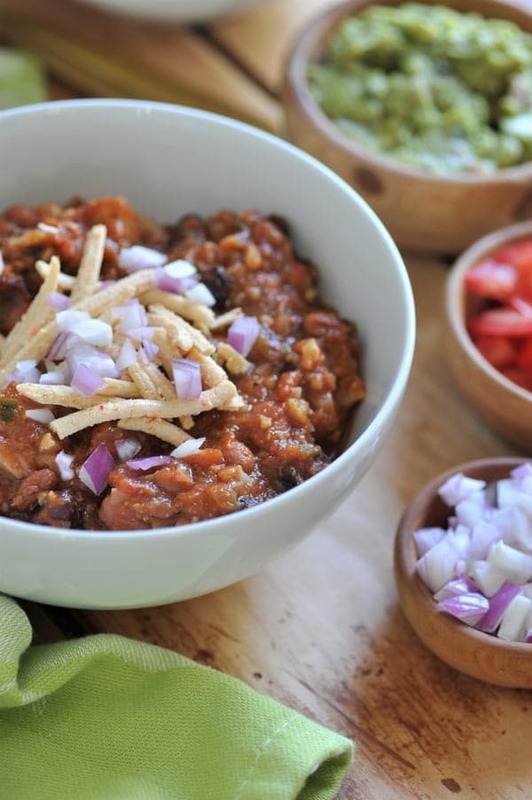 What we love about chili is how versatile it is! Don’t feel like making it just as a main course? 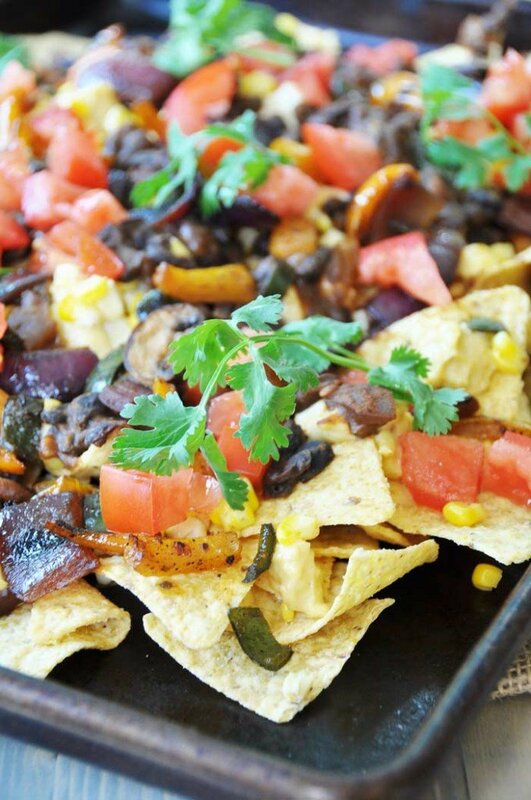 Okay, serve it on top of some corn chips with some vegan cheese to make some awesome nachos! Don’t like that either? Chuck it on veggie dogs for some gut busting chili dogs! We challenge you to come up with your own funky way to use this football classic. This is always a staple while watching football games, at least it is in the Midwest. 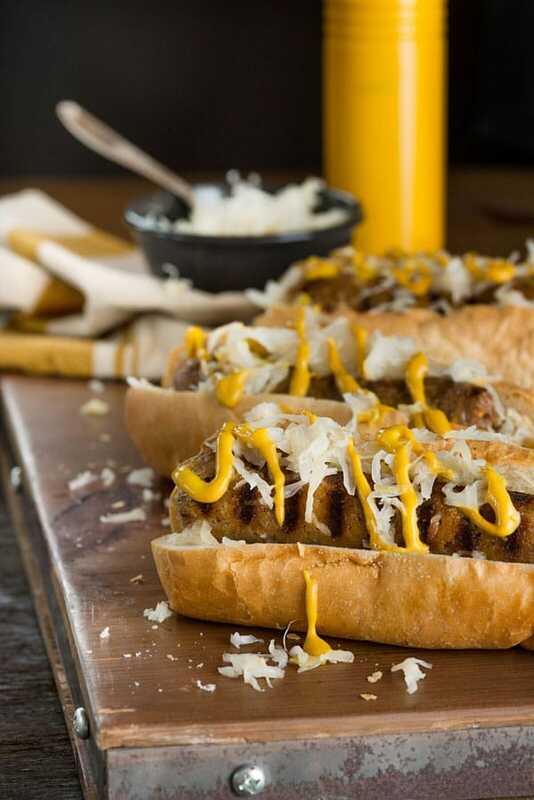 While you guys have to wait a tad longer to see this recipe in our new cookbook , grab some pre-made veggie brats and dress them up with a sourdough bun, mustard, and some kraut! Some of you may have heard of Garrett Popcorn before, but if you haven’t, just know that it is a Chicago Popcorn Institution! They make some awesome popcorn creations and actually have one vegan popcorn option! 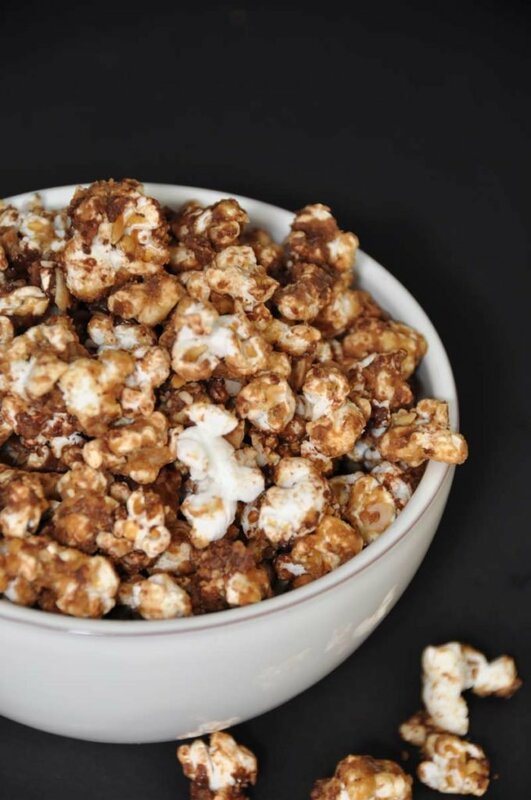 Anyway, we took some inspiration from them and created this amazingly addictive gourmet popcorn. Ok, yes, we admit that donuts are not healthy, but we’re ok with treating ourselves every once in a while and indulge! Here’s the perfect opportunity! 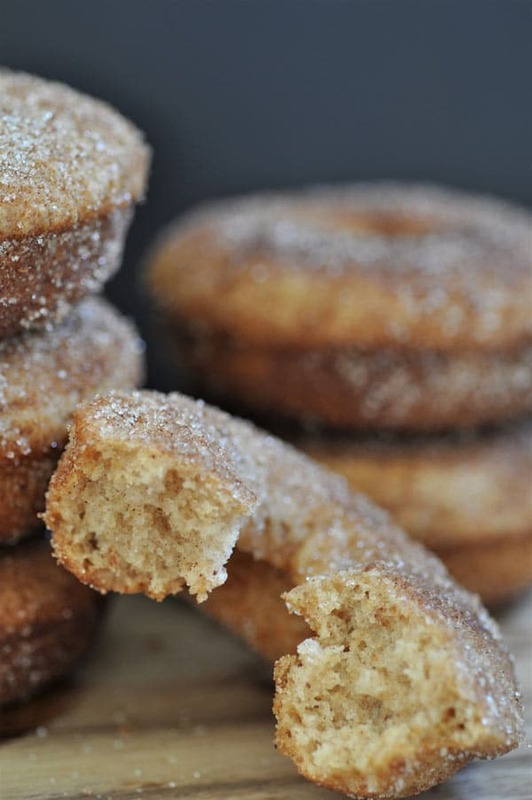 These donuts are sweet, fluffy, and because they’re baked they are at least slightly healthier than their traditionally fried friends. Last but not least: the cutest little dessert you’ve ever seen! Don’t you just want to cuddle up to one!?! 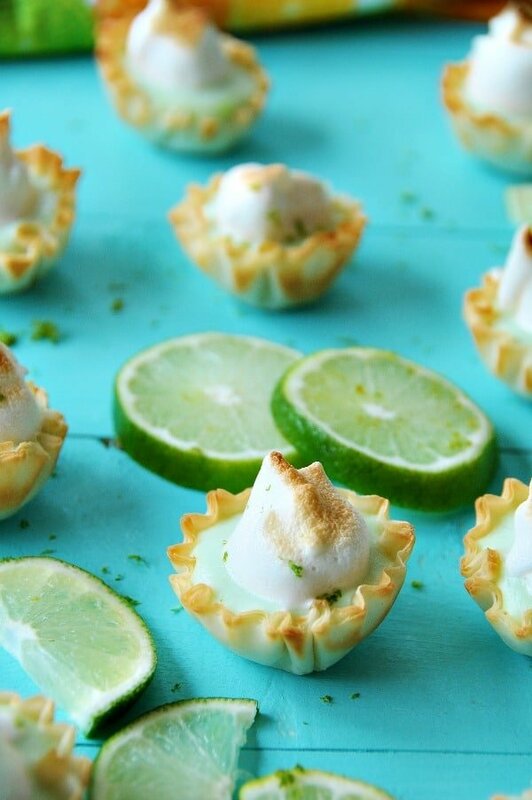 These lime tarts are definite crowd pleasers, so make sure you bring plenty to your Super Bowl gathering! There you go! Super Bowl food that’s as exciting as the game itself! Let us know which recipe(s) you’ll be using February 4th, and if you have any questions or suggestions, feel free to send us an email. These ALL Look delicious! Going to make the potato skins this weekend! 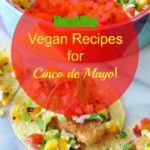 Great roundup of recipes, thanks!